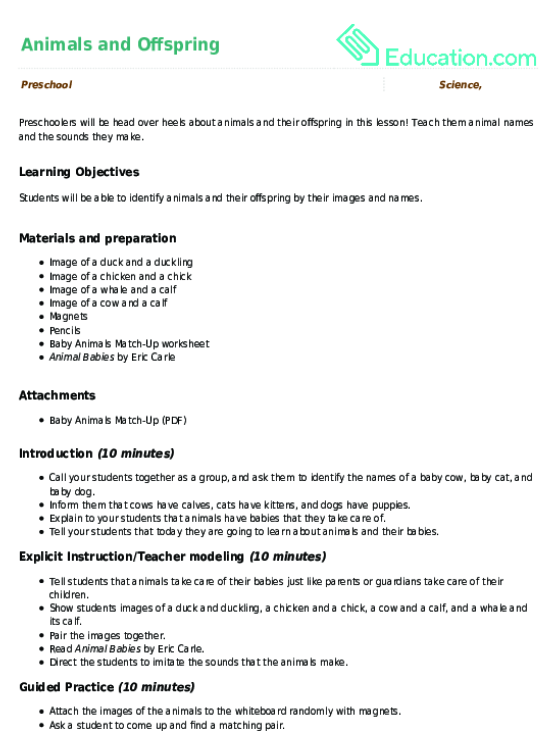 Students will be able to use language to describe observations between different types of animals such as mammals, reptiles, and birds. Begin the lesson by asking your students what birds have to cover their bodies. Ask the students what cats and dogs have to cover their bodies. Then, ask the same question about lizards and snakes. Tell the students that today they are going to learn about the different kinds of body coverings that animals have. 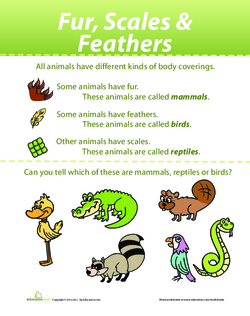 Inform students that all animals have one of three types of body coverings: fur, scales, or feathers. Tell the students that some animals have fur, and these animals are called Mammals. Explain to your students that animals with feathers are called Birds. Tell your students that animals with scales are Reptiles. Watch the Fur, Feather, and ScalesVideo. Create 3 categories on the whiteboard. Label them Mammals, birds,And Reptiles. Write underneath each category Fur, feathers,And Scales, respectively. Show the students photographs of various animals, such as a lion, an ostrich, and an iguana. Ask the students to categorize the animals and use magnets to place the photos in the correct group. Give the students the Fur, Scales, and Feathers worksheet. Direct the students to tell each other what group each animal belongs in. 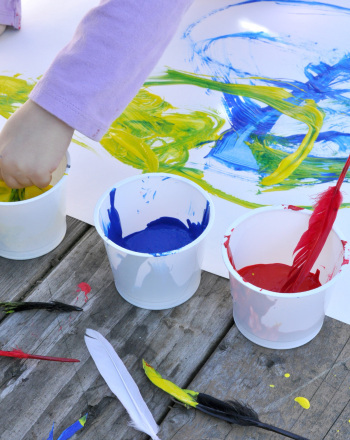 Provide each student with 3 pieces of assorted construction paper, glue, and scissors. Ask the students to cut out the pictures of the animals and paste them onto the construction paper. Tell students to paste reptiles onto green paper, mammals onto red paper, and birds onto yellow paper. Enrichment:Have students use a Venn diagram to compare the mammals, reptiles, and birds. Support:Show the students flashcards of various animals. Have them tell you if they are mammals, reptiles, or birds. Mini-conference with each student, and ask him to give an example of a mammal, a bird, and a reptile. Record their abilities to answer the three questions accurately. To close out the lesson, read Fur and FeathersBy Janet Halfmann. 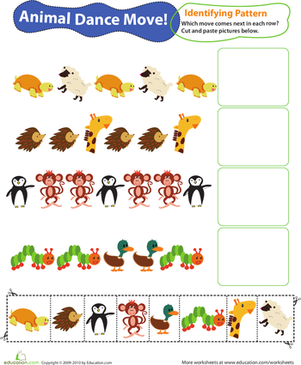 Learn the difference between fur, feathers and scales with this adorable animal worksheet! 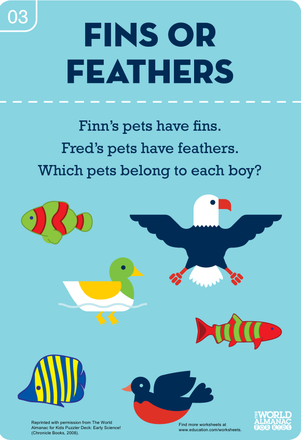 Practise your child's science skills with this fun worksheet, which will help your child determine which animals have feathers, and which have fins.